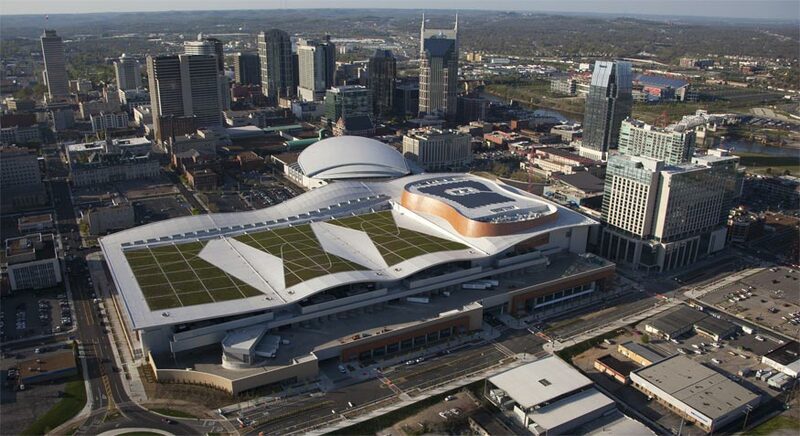 The Music City Center is home to the largest parking operation in downtown Nashville and with our reasonable rates and 24 hour roving security, it's the best place to park in downtown. Our three-level, covered parking garage has 1,800 spaces so you will always find a spot at the MCC. The garage is equipped with a 24/7 fully automated system that accepts debit and credit cards upon exit and our special event parking system allows for a quick exit after big events. Check out our rates page and follow us on twitter @NashvilleMCC for updates on our early bird specials and special event parking rates. Our garage is located on 6th Avenue and Demonbreun, directly across from the south entrance to Bridgestone Arena, and we are within easy walking distance to all downtown attractions. There are three entrances to the garage: one on 7th & Demonbreun and two on 6th Avenue between Demonbreun and Korean Veterans Boulevard. Visit our map and driving directions page for more details on where to find us.